Teamster garbage drivers serving Seattle and thirty other cities in King and Snohomish County voted overwhelmingly March 25 to authorize a strike if negotiations for a new contract are unsuccessful. The current contract expires March 31, 2006. 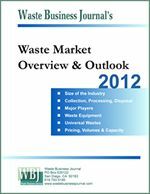 Waste Connections, Inc. (NYSE: WCN) announced that it will report financial results for the first quarter of 2006 after the close of the stock market on April 24, 2006. The Company will be hosting a conference call related to these results on April 25th at 8:30 a.m. Eastern Time. 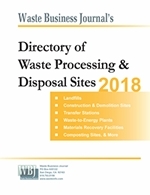 Waste Industries USA, Inc. (Nasdaq: WWIN), a regional, non-hazardous solid waste services company, today announced it has completed the amendment and restatement of its senior secured revolver credit facility. The amended $200 million facility matures in October 2009 and replaces the facility expiring in February 2007. Sharps Compliance Corp. and subsidiaries (OTCBB:SCOM), leading providers of cost-effective medical waste disposal solutions for industry and consumers, today announced the execution of a $1.5 million Credit Agreement with JPMorgan Chase Bank, N.A.